Caracas, Jan 1 : Venezuelan President Hugo Chavez is fully aware of the complexity of his condition three weeks after cancer surgery in Cuba, Vice President Nicolas Maduro said on Tuesday. Chavez, who has been fighting an undisclosed type of pelvic cancer since June 2011, was "totally conscious of the complexity of his post-operative condition" and faced the illness with courage and dignity, Maduro said in a televised interview in Cuba. "Sometimes he has had light improvements, sometimes stationary situations," Maduro said in the interview broadcast by the Caracas-based television network Telesur. He said he had seen Chavez twice over the past three days, adding that the ailing leader demanded that "we should keep people informed, always with the truth, no matter how hard it might be in a certain circumstance." Maduro also called on Venezuelans to ignore the ill-intentioned rumors about Chavez''s health, saying that the rumors were being spread due to "the evil and the hatred of the enemies of Venezuela." Maduro, who has been in Cuba since early Saturday morning, said he planned to return to Caracas on Wednesday. 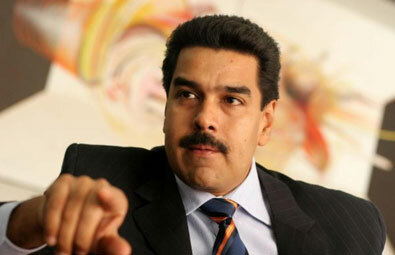 The vice president, however, did not provide any new details about Chavez''s complications. Maduro said on Sunday that new complications from a respiratory infection had put the president in a delicate state.